Photo montage of the proposed station. 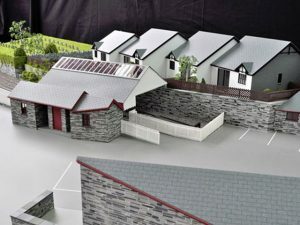 Another part of the development and future of the Railway includes a new version of Corris Station. 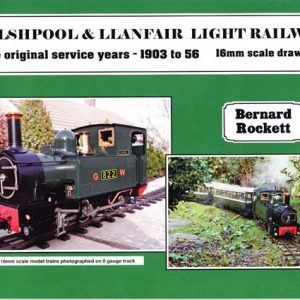 The original building was highly unusual for a British narrow gauge line in that it had an overall roof to protect passengers from the weather when the weather fronts came ashore and ran up against the mountains of Snowdonia. Sadly this iconic structure was finally demolished in 1968. However we would like to partially recreate the scene as it once was and you can see what we wish to achieve elsewhere on this website. 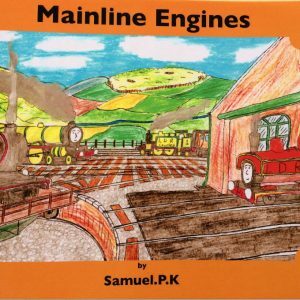 We have consulted with local residents and other stakeholders (and are continuing to do so) about our plans but as we extend and our trains become longer and busier the present layout just will not do. 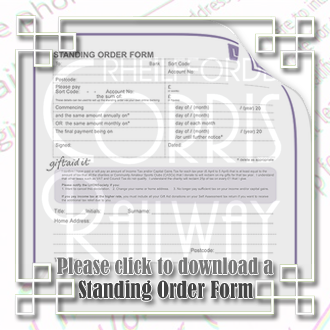 Construction timetables for the station part of the project will be subject to many factors, not least the cost of construction, but donations made here are bringing forward ng forward the day when an engine will steam under a station roof at Corris once more. 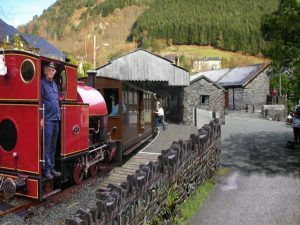 For 50 years the Corris Railway Society has been working to preserve and rebuild the Corris Railway. A fantastic amount has been achieved in this time. 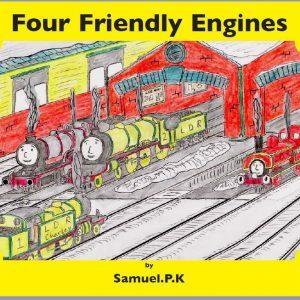 Looking at the railway that is running today, with its fine facilities and rolling stock, it is difficult to remember that, when the Society started its work all that remained of the original railway was a few dilapidated buildings. The track had been lifted and the track bed sold off. 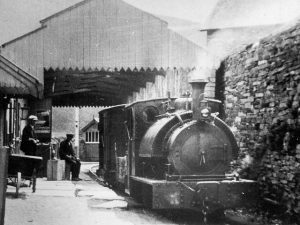 All the locomotives and rolling stock had been disposed of either into preservation on the Talyllyn Railway or scrapped. There was very little to work on. Since its formation the Society has created all that is now the Corris Railway. It has been a great beginning but their remains much to do. 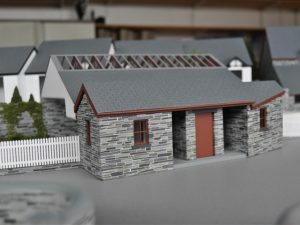 To celebrate 50 years of the Corris Railway Society and kick-start the next phase of the adventure, in 2016 we launched an appeal to raise £300,000 for work in the Corris Station Area. Do the necessary preparation work by removing the redundant portacabin which stood on part of the site, mark out with fencing the area of the new station and extend the station platform. To remove the station boundary wall to preserve the public right of way between the school and the station. This too as been carried out by contractors. The wall is being replaced by fencing and the recovered stone will be used elsewhere in the revival of the Corris Railway. Cost £15,000. Once the above phases are complete, and the pace will depend in many respects on speed of fund raising, construction of the station buildings and the iconic roof can begin. We have planning permission for the proposed scheme. We own the necessary land and all the stages of the project that can be completed without a major funding package have been delivered. Now is the time to push forward. Grants have been applied for and we will continue to pursue external funding wherever possible. 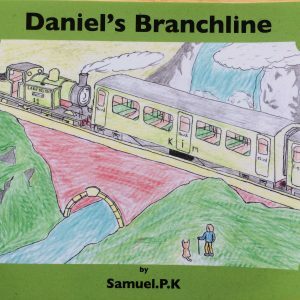 If we are successful then any additional funds raised with this appeal will be spent on the railway’s southern extension. 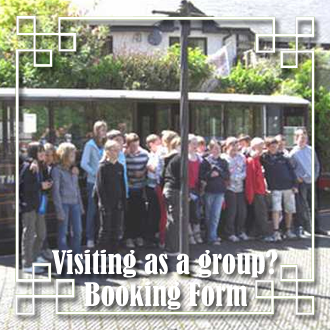 In addition to a volunteer workforce (to volunteer please make your initial contact via enquiries@corris.co.uk) we need to raise the money to enable the Corris Railway to make the strides to complete this project. Donate securely now using PayPal with the button below. You will be taken to the PayPal website where you can specify any amount – large or small – and you can easily specify a recurring amount to be donated. 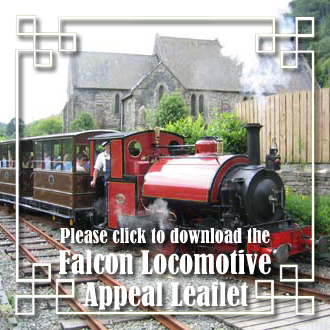 You do not need a PayPal account to donate to the Corris Railway in this way. 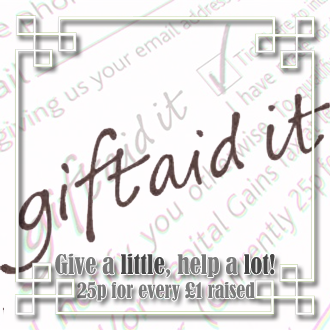 PLEASE indicate and confirm in the box labelled “Add special instructions to the seller” on the PayPal page whether we can claim Gift Aid on your behalf. 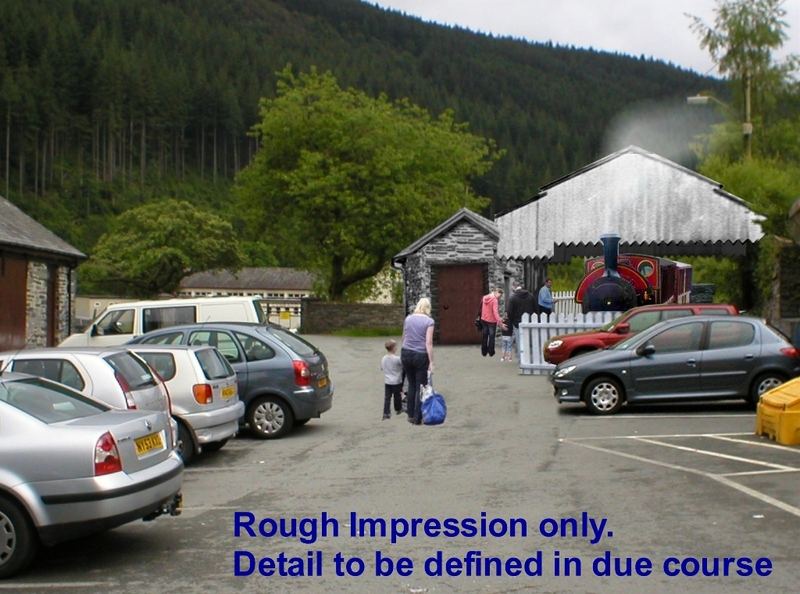 It does NOT cost you any more but the Corris Railway benefits from around 25p per pound donated.